Spice Works Food Creations needed a limited-run gift box for the holiday season and Studio Bup was happy to deliver. 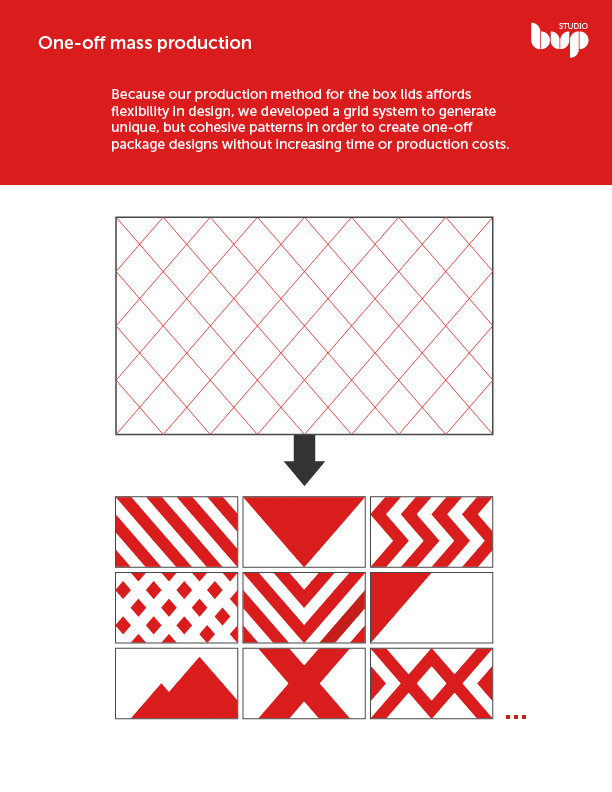 In order to give these already limited-edition packages a little something extra, we developed a production method which allows us to create one-off package designs while retaining the cost and time-effectiveness of medium-run production processes. Customers are encouraged to pick their favourite pattern in order to further enhance the spirit of gift-giving by including them in the final design decisions. Each box is hand-crafted in Baltic birch and contains mini-mold WECK jars filled with Spice Work's delicious Artichoke Dip Mix and Mango Curry Dip Mix. A limited-run of 55 boxes were created.